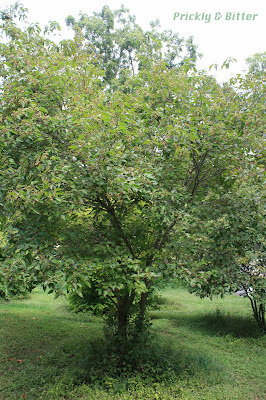 The roughleaved dogwood is a relatively rare species native to the midwestern plains in the United States. It's nearly native to Ontario, but stops just short at the border in Michigan (some would argue it's native to the southernmost areas near Windsor and Point Pelee in Ontario but no evidence suggests it exists there as a wild species). It is an understory species in the forest, but because it prefers full sun it is most likely to be found on forest edges. Because of the ever decreasing amounts of forest cover, this species is more and more difficult to find. Unfortunately, I managed to catch this small tree (or large shrub) in what is probably the least exciting portion of its yearly cycle. In the spring and into the early summer it produces dainty white flowers on the bright red inflorescence branches. These flowers are pollinated, then mature into green fruits in the late summer (as illustrated above) and turn white in the fall. These white fruits are important food sources for many native species, including about 20 species of bird, and other small mammals like chipmunks, voles and mice (squirrels rarely eat the berries since they prefer hard-shelled nuts like acorns, but if they're hungry they'll eat just about anything). 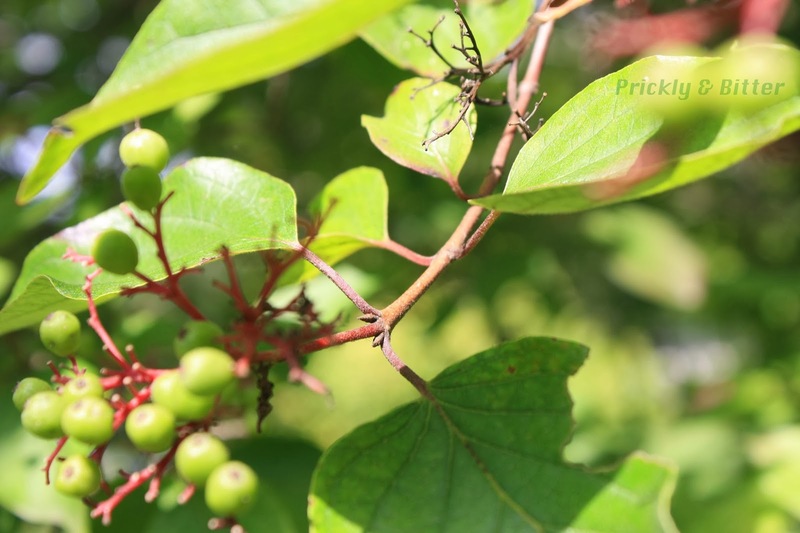 There are also many insect species that lay their eggs on the branches and leaves of this plant and the larvae ("caterpillars") eat the leaves before moulting into their mature forms. Because of the dense leaf cover and the dense branching growth, this species makes an ideal tree or shrub species for birds to seek shelter. It is relatively fast-growing and then growth is nearly halted when it reaches 4-6 feet in diameter, so makes an ideal candidate for a shrub hedge or other type of visual or noise screen. 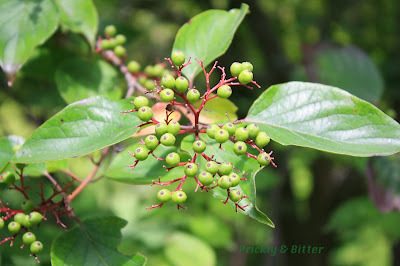 Unlike its close relative the red osier dogwood (which you can read all about HERE), this small tree doesn't have much winter interest. The bright red inflorescence stalks that hold onto the white berries turn brown and fall off the tree when the leaves are shed in the fall, and they are produced anew in the spring. 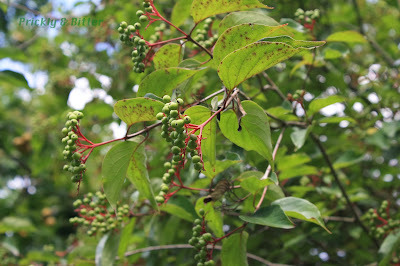 The rest of the branches on the tree are a typical brown, unlike the red osier dogwood's bright red bark. This doesn't mean you shouldn't plant one! Think about how happy you'd make some birds if you had one in your back yard :) Aside from the ecological benefit to birds and insects, this tree is incredibly resistant to just about every type of disease out there. It resists nearly all types of fungal infections, there are no known insect pests, and rabbits aren't big fans of eating the bark of this species during the winter (unlike hemlocks. The poor trees in our back yard get stripped of their bark during bad winters!). 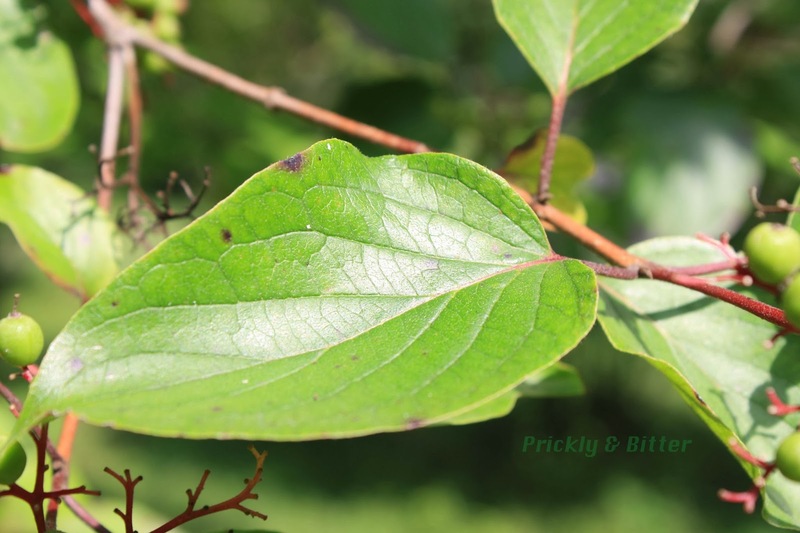 The roughleaved dogwood is named that because of the very coarse hairs produced on the undersides of the leaves (the terminal branchlets are also covered in this coarse hair, as are the petioles of each leaf). Because the trichomes are short and fat, they give a very rough texture to the underside of the leaf (almost like sandpaper), unlike the long thin trichomes of many leaves that make them soft and pleasant to touch.